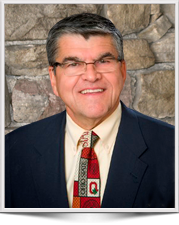 Dr. Schmidt has more than 37 years of experience in environmental, hazardous waste, remediation, and construction projects. During this period, he has served as Project Manager, Program Manager, Project Director and Client Account Manager on a diverse portfolio of environmental, due diligence, engineering and construction projects for industrial clients. He has been responsible for work plan preparation, coordination of field activities, report preparation, remedial design, remedial construction, project management, financial management and client relations on projects for a variety of industrial clients domestic and worldwide. Dr. Schmidt has been involved with RCRA, CERCLA and petroleum remedial activities at industrial facilities in Alberta Canada, Delaware, Illinois, Indiana, Kentucky, New York and Ohio, and more than 600 UST sites throughout the United States involving soil and groundwater cleanup and remedial construction. In addition, he has been responsible for business development, diversification and management of several Industrial and Petrochemical Client account programs. Client Account Manager for a major petrochemical account. Project work scopes throughout the US have included the following: groundwater remediation; refinery infrastructure repair; site-wide O&M; terminal and retail site demolition; subsurface investigations; environmental permitting; property due diligence, reclamation and restoration of upstream drilling sites, remedial system design/installation and liability transfer. A significant portion of the work was focused at implementation of a safety improvement program and reporting safety metrics to the company on a quarterly basis to demonstrate proactive HSSE management. In addition, he provided oversight of technical and HSSE programs, account activities including: monthly coordination with more than 20 Project Managers; conducting Leadership visits to active project sites; preparing and reviewing responses to RFIs/RFPs and coordinating opportunity pursuits with other business units. Client Account Manager for a commercial and industrial manufacturing account. The company has more than 35 subsidiary companies worldwide. The company has been in an international and domestic growth mode for the past five years. Prior to any acquisition, the company requires a facility specific inspection to understand and evaluate several operational aspects including: regulatory compliance issues; HSSE issues; site maintenance issues; environmental permits; chemical storage; potential for growth of operations and historical property use impacts. During the past five years more than 40 manufacturing facilities have been audited throughout the US, Brazil, Mexico and Australia. Recommendations from the site audits generally involve development of programs to improve site HSSE management, fire protection, waste management and overall site environmental compliance with local regulations. Senior Project Manager for a former refinery project in New York. Project work has included design of sediment excavation plans, design of a 3,000 ft. long groundwater collection trench and construction oversight of the wetland treatment system designed to treat impacted groundwater. The project work scope has involved groundwater modeling, NYSDEC permitting activities for NPDES and Flood Control work, landfill cap design, and site wide ecological restoration designs. Construction of the final remedial system components was completed in the fall of 2012. A cost savings of more than $7.4 million was realized during the design and construction phases of work. Served as Senior Project Manager for the remediation and restoration of a marshland located on a floodplain of a major river. Project work included preparation of an Integrated Remedial Action Work Plan for remediation and restoration of 18 acres of tidal marsh sediments. Preparation of the Integrate Remedial Action Work Plan included data review of more than 300 soil borings, development of a statistical based sediment removal program, and a strategy to minimize excavation volumes that meet restoration objectives of DNREC and USEPA Trustees. The project team was successful in reducing sediment removal volumes from 40,000 cubic yards to approximately 12,000 cubic yards using statistical data management techniques. The remedial construction was implemented in 2011 and was completed in the summer of 2012. A cost savings of more than $4.5 million was realized during the design and implementation phases of the project. Served as Senior Project Manager for the RCRA Facility Investigation (RFI) and Corrective Measures Study (CMS) projects at this site. In 2007, the Client entered into an Administrative Order on Consent with USEPA for completion of the Current Conditions Report and RFI/CMS by October 2009. Project work included installation of more than 400 soil borings and 45 onsite and offsite nested bedrock monitoring wells to evaluate site conditions. In addition to investigative work and TACO risk assessment work for the RFI, URS has provided consulting services related to groundwater modeling, groundwater collection rehabilitation, DNAPL evaluations, LNAPL recovery operations, operation and maintenance of a 60 gpm groundwater collection trench and air stripper treatment system, preparation of an Illinois EPA Post Closure Care Permit Application, NPDES permit reporting and regulatory strategy/negotiations. In 2011 the project was transferred to the O&M Phase and is currently under long term O&M. Served as Program Manager for all retail service station projects in Ohio. During the execution of this program more than 600 UST projects were coordinated. Project work has included a variety of underground storage tank services including: site assessments, risk assessments, corrective action plan preparation, remedial system installation and operation and maintenance oversight. Active remediation projects included: groundwater pump and treatment; in situ bioremediation; and dual phase soil and vapor extraction. Served as Client Account Manager and Technical Coordinator on the Alliance with this Client. During this period, specific account activities included managing and directing remediation activities at two major refineries in Ohio and one in Kentucky. These facilities include both LNAPL recovery and groundwater treatment systems. Additional Project Management and Technical Review responsibilities included oversight of investigation activities, groundwater remediation activities and development of site restoration plans for projects involving petroleum hydrocarbons and chlorinated solvents in Montana, Pennsylvania, Ohio and Brazil. Management activities included coordination of program billings, Client interface and supervision of 25 professional and administrative staff co-located in the Client’s office. Served as Certified Professional for voluntary remediation of two former refinery properties located in an industrial area. Project oversight has included Phase I, Phase II, Remedial Design, Construction Quality Assurance, and NFA preparation, Long-Term Operation / Management and Risk Mitigation Plans. Both sites encompass approximately 50 acres and have been impacted by LNAPL and fuel related compounds in the subsurface soil. Remedial activities at both properties have included the following components: sheet pile cutoff walls, protective soil cover, recovery sumps and redesign of storm water drainage. A Covenant-Not-to-Sue from Ohio EPA was received for both properties in 2004. Commercial site redevelopment has occurred in 2006 at one of the properties. Certified Professional for site redevelopment of an automotive testing and research fuel blending facility. Project oversight has included Phase I, Phase II, Risk Assessment and NFA preparation. Site remedial activities have included demolition of facility buildings, removal of underground storage / above ground storage tanks, site-wide drainage controls, groundwater modeling, and LNAPL recovery. Technical Impractability waiver received for 13-acre LNAPL area in 2002. Project Manager for the closure of two hazardous waste sludge storage ponds formerly used to store refinery wastewater sludge. The closure project was coordinated with Ohio EPA and involved landfill closure of a 3-acre pond and clean closure of a 5-acre pond. The dirty closure component involved stabilization of 30,000 cubic yards of sludge with Portland cement. Treatability study tests provided a design mix of 25% cement to achieve 20 psi and non-leaching. The stabilized sludge was placed under a RCRA multi-layer cap. The project was completed in December 2001. Project Manager and Project Director for a remedial design project dealing with a 2-million-gallon gasoline release in a residential housing development. Project work has included design investigation sampling for soil vapor extraction and dual phase remediation technologies, developing site-specific risk-based remediation goals, remedial system design and installation of six remedial systems. All operation and maintenance, NPDES permitting and reporting are being completed for the groundwater remedial systems that have been installed on the residential properties. In 2007, the company entered into a Consent Order to perform a Remedial Investigation/Feasibility Study and Human Health Risk Assessment to develop final remedial plans for residual soil and groundwater impacts remaining in the areas of concern. The RI is planned to be submitted in 2018. Upon completion of the Feasibility Study, remedy implementation is planned in the next few years. Served as Project Manager for RCRA Closure at a refinery landfill in Kentucky. Project activities have included closure plan negotiations, landfill design, construction management, QA/QC, and closure certification. Additional responsibilities included annual groundwater monitoring, NPDES sampling, wastewater treatment plant, design and operation and coordination of removal of 5,000 cubic yards of sediment from a wastewater unit. As a result of using innovative geotube sediment dewatering techniques, $1.5 million in lost revenue was saved on the project. Senior Project Manager for the Fields Brook Superfund Site, a CERCLA RI/FS and RD/RA project in northeast Ohio. The project included investigations of a Source Control Operable Unit, Sediment Operable Unit and Floodplain/Wetland Unit. The project area encompassed more than 5.6 square miles and has 17 industrial/manufacturing facilities. Results from the assessment and design investigations have been used to prepare design investigation work plans and to address remedial alternatives involving sediment solidification, incineration and landfilling of sediments containing PCBs and organics. Human and Ecological Risk assessments, Data Quality Objectives and statistical data evaluation approaches have been used to develop a cost effective remedial approach that involves stream channel excavation and wetland area remediation. In addition to site investigation work, project involvement included coordination with the final remedial design contractor and negotiation strategies with U.S. EPA, Ohio EPA, and Natural Resource Trustees. Served as Project Coordinator for two Administrative Orders by Consent with U.S. EPA Region III. Project activities at the 80-acre former PVC manufacturing plant have included Consent Order negotiations, EE/CA Work Plan preparation, Response Action Plan development, design of GAC treatment system for municipal water supply impacted by chlorinated solvents and EECA investigations. Served as Project Director for a tire and rubber company’s site acquisition program in eastern United States and worldwide. Project work has included air permitting, due diligence review for more than 50 sites being considered during facility expansions. Work scope involved coordinating overseas facility visits, Phase I, Phase II report preparation and development of cost projections. Senior Project Manager on a multi-task remediation program under Consent Order with USEPA Region V. As part of the Consent Order, the company was required to mitigate DNAPL migration at this Site. Project work has been ongoing since 1992 and includes the following: Consent Order Negotiations, site characterization, slurry wall design, groundwater recovery system design, DNAPL recovery design, construction management and remedial measures operation and maintenance. In 2014, an Explanation of Significant Differences (ESD) was negotiated with USEPA Region V to modify the method of DNAPL recovery from active to passive. The ESD Completion Report was approved by USEPA in June 2017. Currently, the site is in the OM&M phase of work which involves monthly DNAPL recovery, remedial system inspections and groundwater monitoring. Served as Project Manager for facility mergers and acquisitions. Project work has included Phase I and Phase II property assessment in the New York, Ohio, Australia and China, France, Germany and Brazil. Supervised and coordinated all work performed for projects dealing with environmental liability analysis, Phase I Investigations, Phase 2 Investigations, compliance audits, and installation of remedial systems for soil and groundwater impacts. Served as Project Manager, Program Director, and National Account Manager for a nationwide truck transportation firm’s underground storage tank (UST) program at their 1,100 facilities. During a four-year period of time more than 600 environmental and construction projects were completed. Project involvement has included: Phase I property acquisitions, UST removals, subsurface contamination assessment, free product recovery, soil and groundwater remediation, tank removal and installation and Petroleum Reimbursement Fund applications. As part of this program, more than 15 field offices were used to assist in project work throughout the United States and Canada. Filter Manufacturing Association, Washington, D.C. Worked with a coalition of 15 oil filter manufacturing firms to complete an assessment of used waste oil filters. During this study, an innovative method of sampling filters was developed to collect representative samples from used filters. Results from the study were submitted to U.S. EPA in fall 1991 to exempt used oil filters as a hazardous waste. Served as Project Manager and assisted in the preparation of a Remedial Investigation/Feasibility Study for an industrial waste/sanitary landfill located in northeastern Ohio. Worked extensively with the EPA HELP model to study leachate generation. Northern Ohio Geological Society, “Remote Sensing of Earth Resources”. An inventory of peatlands in northeastern Ohio using Landsat imagery (with R.G. Craig, M. Dougherty). Vol. 8, pp. 215 225. University of Tennessee Space Institute. 1979. “Compass”. Shoreline erosion at Painesville Township Park, Lake County, Ohio. Vol. 57, No. 3, pp. 89 100. 1980. “A Geotechnical and Hydrogeological Investigation of Wastewater Treatment Sludges and River Sand to be used as Sanitary Landfill Caps”. Doctoral dissertation. Kent State University. Kent, Ohio. 1985. “NWWA Proceedings, Practical Applications of Groundwater Models”. Predicted landfill cap behavior of soils amended with municipal waste sludges using the HELP model (with M.R. McComas and A. Shakoor). Columbus, Ohio. Summer 1985. “Bulletin of the Association of Engineering Geologists”. Lime Sludge Stabilization of Sand for Capping Sanitary Landfills (with Abdul Shakoor) Vol. 26, No 2, pp 227-240. 1989. “Dredging and Dewatering of Hazardous Impoundment Sediment Using the DryDREdge™ and Geotubes”. (with ML. Duke, J. Fowler, and AC Askew) Western Dredging Association, Journal of Dredging Engineering, Volume 2, No. 1. March 2000.